The swashbuckling opener from Australia, David Warner is all set to return to Indian Premier League 2019 (IPL 2019) after serving a ban for ball-tampering in South Africa last year. David Warner's involvement in ball tampering created a major controversy across the cricketing nation and the BCCI refused to allow Warner to participate in IPL 2018 along with Steve Smith. While Warner and Smith were banned for a year by Cricket Australia, young Cameron Bancroft was left out for nine months for his role. 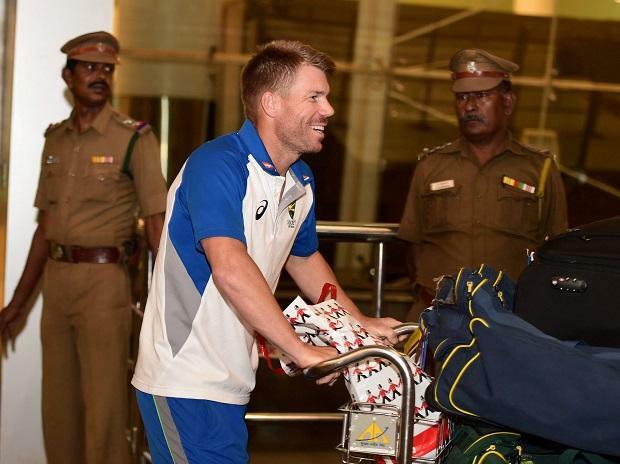 David Warner also cannot lead his national team after CA banned him from taking the leadership role for a lifetime. After the scandal, Warner missed the 2018 edition with New Zealand skipper Kane Williamson taking charge of the team. How important is David Warner for Sunrisers Hyderabad in IPL 2019? Even though Sunrisers Hyderabad made it to the finals in IPL 2018, opening remained their main concern as Shikhar Dhawan was unable to give the start they needed at the top of the order and Wriddiman Saha’s injury made the SRH opening slot brittle. David Warner’s participation in IPL 2019 will give a major boost to SRH batting at the top of the order as he has an impressive record in IPL. Under Warner’s captaincy, Sunrisers Hyderabad won two IPL titles in 2016 and 2017. The southpaw has played an important role in SRH’s success in the cash-rich extravaganza over the years. He led by example with a staggering 848 runs and helped them win their maiden title in 2016 IPL. In 2017, he topped the run charts (641) and smashed a scintillating 59-ball 126 against Kolkata Knight Riders, against whom SRH open their campaign in IPL 2019. Prior to IPL 2019, Warner went under the knife for an elbow injury in January during the Bangladesh Premier League but made a successful comeback for his Sydney club Randy Petes with a 77-ball century in a one-day game earlier this month.